Most people are often shocked and surprised at how expensive it is to live in Port Gentil. I guess when one hears 'Africa' they assume it's poor and it must be cheap. Currently, Luanda, Angola (to the South of us on the West Coast) is ranked the most expensive city in the world. In 2011, Libreville was ranked 19th, the second most expensive city to live in in Africa, ahead of Paris, France and Brisbane, Australia. Many would also argue that Port Gentil is even more expensive than Libreville because it's the petroleum capital of the country and we're sort of an island which makes shipping more difficult. We don't do a lot of shopping here - in part because there is almost nothing to shop for - but we do have to buy food and that is typically where we notice the extreme expense. This week I found asparagus in the grocery store and it was in good condition, ie, not soggy and rotten. I decided to splurge and go for it as it had been months since we've had it. 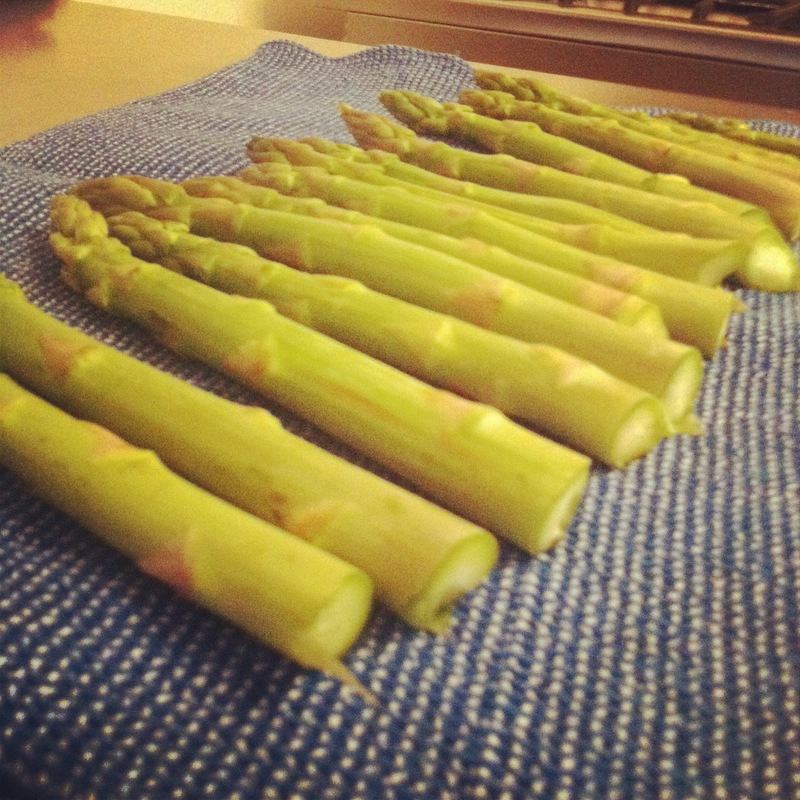 And splurge I did - those 15 asparagus spears set me back $14. At least they were good! This week I also purchased a tiny head of iceberg lettuce (the size of my 2 fists) and when I cut in to it to wash it, it was completely rotten in the centre - $11 straight in to the garbage. At some point down the road you learn to ignore the prices every once in awhile. On the positive side, when we travel, it makes everything seem ridiculously cheap.